Everyone has to start out somewhere. What were the early days of your tattoo career like and what would you tell yourself if you could go back to when you first started? 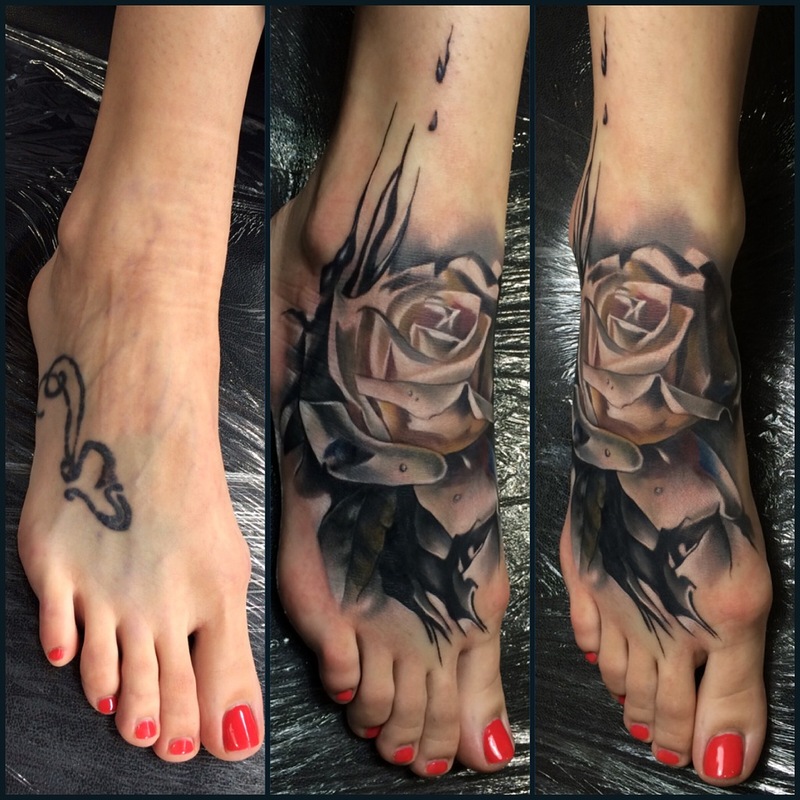 It was difficult at the start because there is a huge stigma attached to tattoos and tattoo artists. 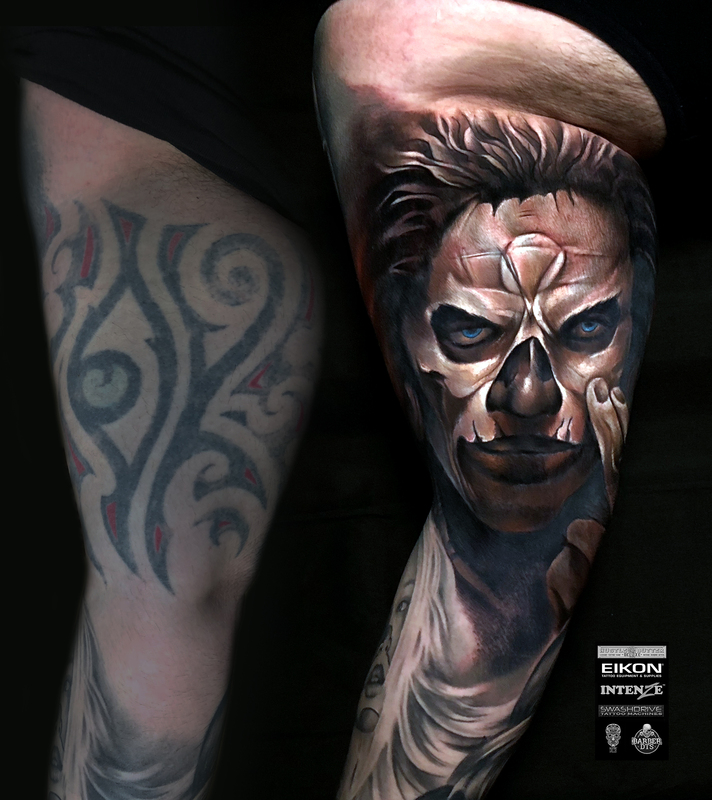 Going into tattooing was a choice I made because I was always passionate about art. I had a family to provide for, so from leaving a full time job, to going into something that I had no idea if I would become successful in, it was very stressful. 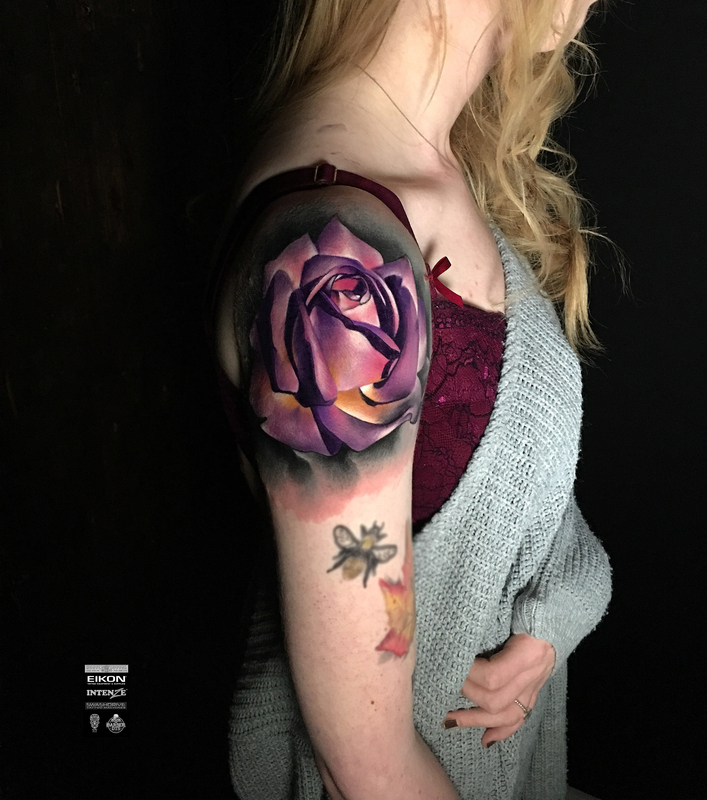 I had to start from doing small tattoos, walk- ins, and just practicing whenever I had the time to. 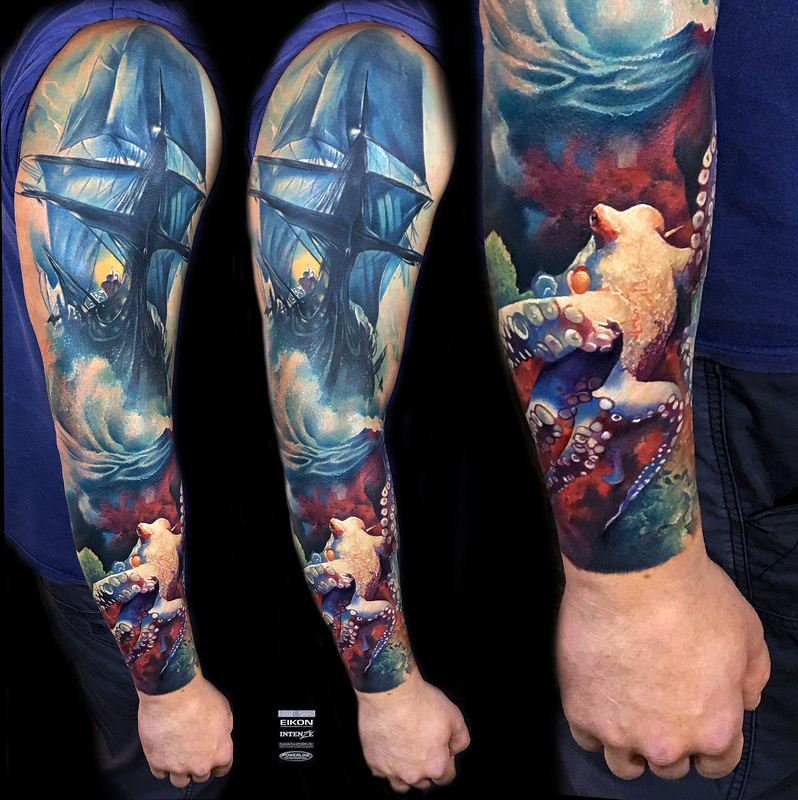 I had little control when it came to tattoo’s, I worked under management at other people’s studio’s, so I had to follow their rules to do whatever the customer wanted, even if it was against my beliefs. If I could go back to when I started, I would tell myself to keep going, to practice hard and that everything will be fine in the end. 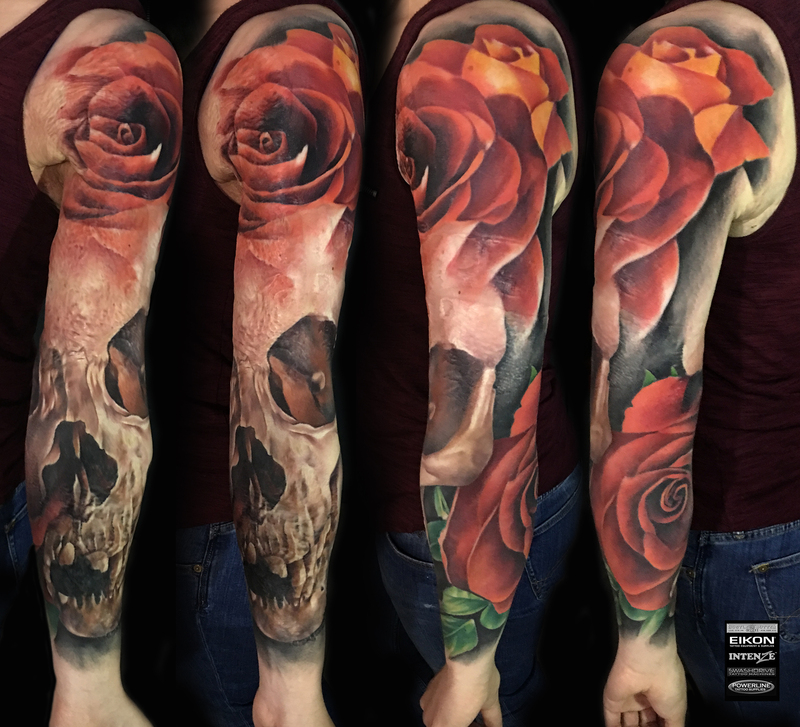 What brought you to the UK initially and what are the main differences between tattooing in Poland and the UK? I migrated to the UK eighteen years ago and never had the chance to work in Poland. 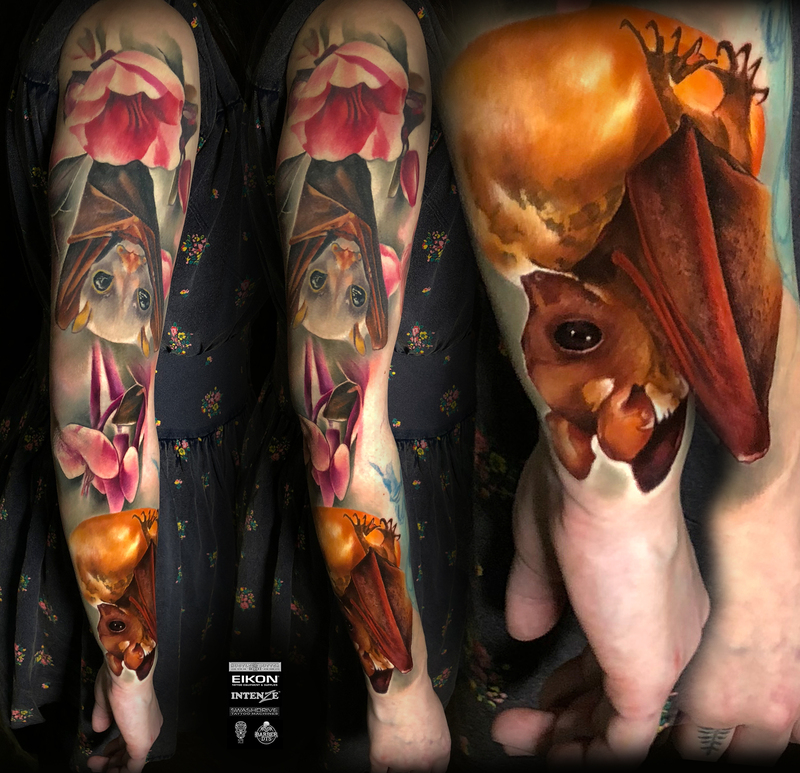 Working in the UK provided the opportunities and pathways to get into the tattooing industry, I cannot make a comparison to working in Poland because I have never worked there officially. 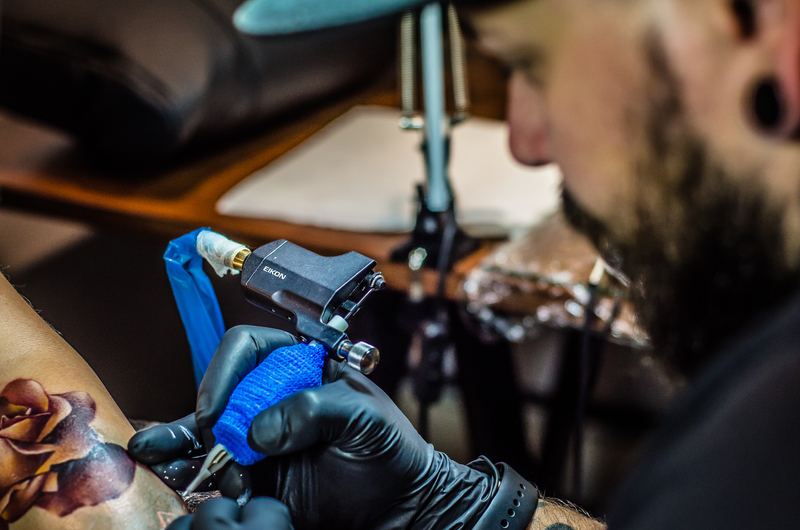 Now that you’re running Tattoobylaw, how do you balance the workload of being a professional tattoo artist and running a business at the same time? My partner helps me, she is also the manager of my shop, so she sorts out the business side of things while I focus on the workload. 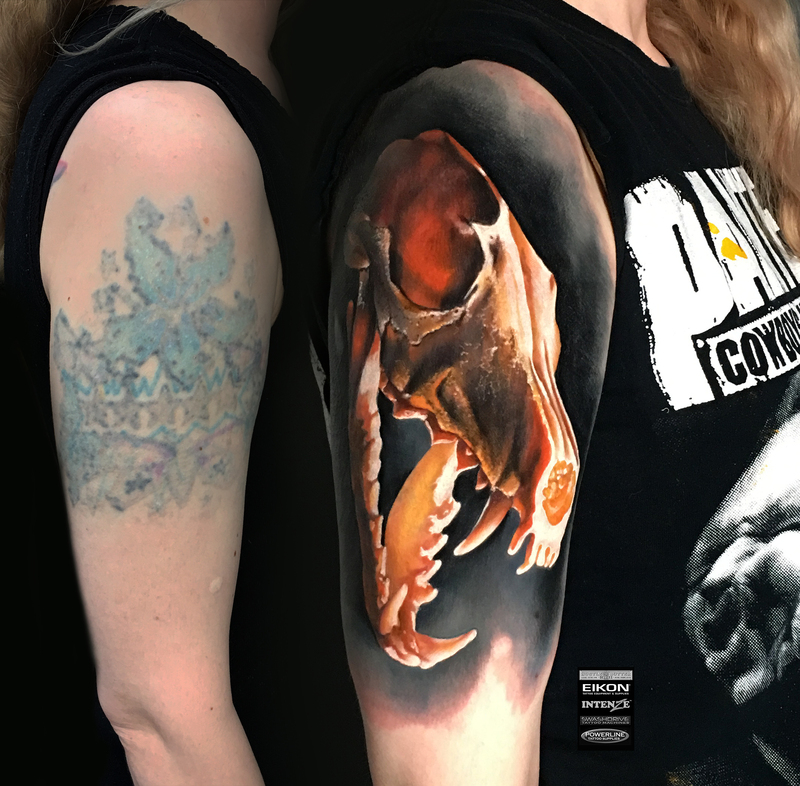 My partner encouraged me to open up my own shop and gave me a lot of moral support before and after opening TattooByLaw. Your style blends realism with a really unique illustrative style in parts, where do you find the inspiration from in creating designs that don’t fit into any one tattoo category? I’ve always had an interest in art and art culture from a young age. I feel that to be recognised in the tattoo scene, I have to provide a unique style. I have always painted before, and I got my inspiration, and have learnt a lot of techniques of art from my grandfather. I like to use oil paints and try to use this painting technique in my style of tattooing. Colours are a big part of what I love to do, I enjoy blending my own palette using Intenze inks. Some artists make their living doing guest spots around the world these days, is there anywhere you would love to travel to and tattoo? I would love to travel all over the world, see the different cultures, and experience their views on tattoos. I would also appreciate the opportunity to show my style to others, hopefully it would help to erase some negative views on tattoos. We recently featured an article titled “The Customer Is Our Master?”, how do you approach a customer who wants their first tattoo on their throat or hand/a customer who wants a design that is either inappropriate or maybe offensive? 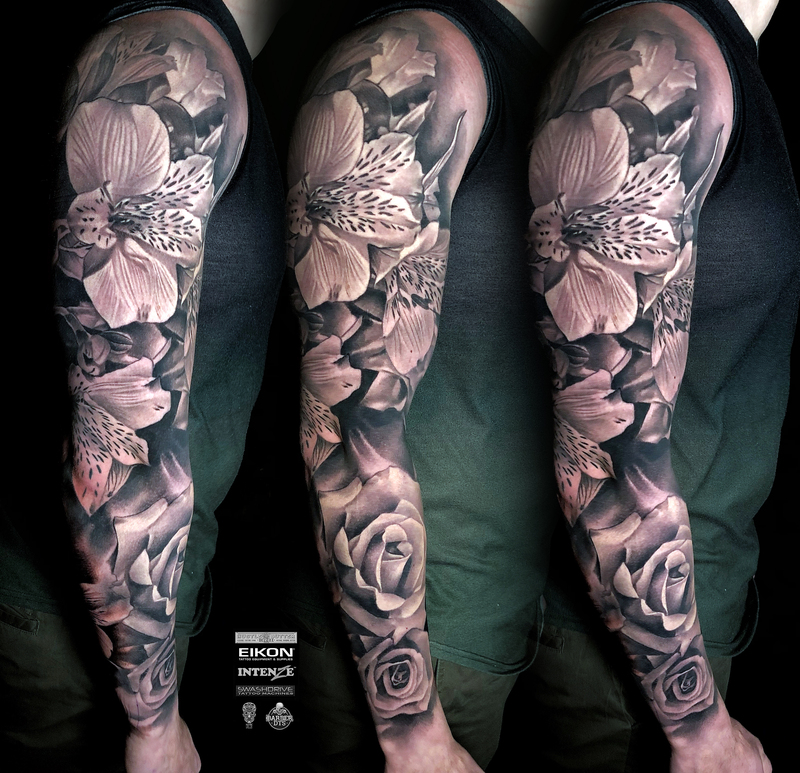 First, I would need to have a consultation and discussion with the customer about what they want tattooed, and the placement of the design on their body. I would ask the reason why they want it in that particular area. If it is on the hand, neck, face, head, then I would try to discourage them and persuade them to get it somewhere else on their body. If it is against my beliefs I have the right to say “no” and turn the customer down, that is the benefits of being my own boss. Finally, without giving away any of your secrets, do you have any words of wisdom for artists looking to successfully set up shop on their own? What upsets me the most are inexperienced people that open up a shop just for the money; these people ruin customers’ skin, and steal hardworking tattoo artists’ work. My advice would be to work hard and become established, and to have your own customer base. After that you can feel free and do it, if you feel strong enough, then why not open up your own shop.